The announcement had been long expected, but it was a surprise nonetheless, coming as it did just before year’s end, and only weeks after another new bishop’s installation (in a country as small as the Netherlands, a fairly rare event) in Roermond. Last Monday morning, the pope’s birthday,, Bishop Jan Hendriks, auxiliary bishop and vicar general of the Diocese of Haarlem-Amsterdam, received a phone call from the nunciature in The Hague, informing him that he was appointed as bishop coadjutor of Haarlem-Amsterdam. With the nuncio, Archbishop Cavalli, being in Rome, a Wednesday meeting with the secretary, Msgr. Mendez, resulted in yesterday’s announcement. Bishop Hendriks suggests in his blog that the timing is due to other appointments – ‘s-Hertogenbosch in March of 2016, Groningen-Leeuwarden in April of 2017 and Roermond in October of this year. “It is clear that Rome – since everything is connected in a small country like the Netherlands – has wanted to wait for these appointments,” the bishop writes. As coadjutor bishop, Msgr. Hendriks remains an auxiliary bishop, but is assured of becoming the new bishop of Haarlem-Amsterdam upon the retirement of Bishop Jos Punt, the current ordinary. His name had been whispered for other positions over the past years, but Haarlem-Amsterdam is the perfect fit for Bishop Hendriks, familiar as he is with the diocese. His appointment can be seen as a natural culmination of his previous ‘career’: from parish priest to seminary rector to auxiliary bishop and vicar general. In a letter to the parishes Bishop Jos Punt explains that his request for a coadjutor was made same time ago. While no one can be sure when exactly Bishop Hendriks will succeed Bishop Punt, the latter suggests a tie frame in the aforementioned letter, saying “when my time comes, at most in two years time when I reach the age of 75, he will be the new bishop of our beloved Diocese of Haarlem-Amsterdam.” Given Bishop Punt’s health issues, an early retirement seems a distinct possibility, but it will likely take place no later than 10 January 2021, when Bishop Punt will turn 75, and it will probably be a quick succession at that. There is no need for the new bishop to be chosen after a retirement letter has been received in Rome, nor does he have to be consecrated, as he is already a bishop. And his installation can be planned ahead of time. Coadjutor bishops are fairly rare in the Netherlands. There have been 11 in the past century, with the most recent being Bishop Hans van den Hende, who was coadjutor of Breda in 2006 and 2007. Haarlem-Amsterdam had one in 1983 (Bishop Hendrik Bomers, who succeeded Bishop Zwartkruis after a mere two days as coadjutor bishop) and from 1958 to 1960 (Bishop van Dodewaard). Bishop Hendriks continues his duties as auxiliary bishop and vicar general in the diocese, and also serves as consultor to the Congregation for the Clergy and as a judge in the Supreme Tribunal of the Apostolic Signatura, both in Rome. 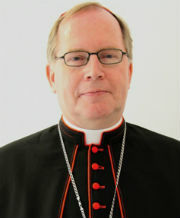 Bishop Jos Punt has served as Bishop of Haarlem-Amsterdam since 2001. Before that he had been the apostolic administrator from 1998 to 2011 and auxiliary bishop since 1995. He has also been the apostolic administrator of the Military Ordinariate of the Netherlands since 1995. Following his earlier comments on the latest revelations about past abuse in the Catholic Church, and in light of the impact this has had on Catholics, also in the Netherlands, Bishop Gerard de Korte has written a letter to the faithful of his diocese. But its message is just as pertinent for Catholics in other dioceses and even other countries. Without wanting to diminish the suffering of the victims – the bishop describes how he has personally been in touch with a number of them – the letter reminds the reader of what is being done today to fight abuse, despite the failures of the past, and asks to remember of the good the Church still offers. It is good to remember, in my opinion, that there is no distinction between ‘the Church’ and the faithful in the pews. They – we – are the Church, and Bishop de Korte’s letter must be read in that light, so that it does not become a bishop’s call to not leave him and his priests, but an invitation to work together as God’s Church in the world. In the past weeks our Church has frequently been negatively in the news. There was the news about sexual abuse of minors in the United States. And on the highest level of our Church our good pope is accused of not having responded adequately to signs of abuse. Altogether, the recent news reports are for many cause for pain and sadness. Several victims of sexual abuse who have I have spoken with in the past, have contacted me and told me that their pain is resurfacing because of the news. More than a few faithful in the parish are experiencing sadness with so many negative reports. In recent history, religious, priests and bishops have been unfaithful to their vocation. They have committed crimes and seriously damaged the lives of people. Their behaviour did not bring people to God, but, in many cases, tested or even extinguished the faith in the hearts of people. This is a reason for deep shame. In the Netherlands, the sexual abuse of minors was revealed in 2010. From that moment on, the Dutch bishops have been intensively involved in ding justice to the victims of the abuse. They have done their utmost, and will continue to do so, to purify and renew the Church. All the recommendations of the Deetman commission, which investigated the sexual abuse of minors in our Church, have been followed. A great number of measures have been taken recognise victims and, at the same time, to prevent new victims being made. Of course, constant vigilance is needed, but I am strongly convinced that our Church in the Netherlands is a safer place than it was in the past, especially also for children and young people. In these days of crisis our bond with the Church is being tested. May I ask you, especially now that it is difficult, to remain faithful? Now that we are going through an exceptionally difficult time for the Church, no one can be missed. There are countless good things happening in the faith communities of our parishes. Things that can give us courage and hope. I think of celebrating God’s love together, as made visible in Jesus Christ. I’ll also mention all kinds of activities in the fields of communicating the faith and catechesis. And in the last place I gladly emphasise all sorts of charity and other forms of service, within and without the parishes. I think not only of the care for the elderly and the lonely, but also of efforts towards peace, justice and the maintenance of God’s creation. The Church of our country and most especially of our own Diocese of ‘s-Hertogenbosch only has a future if many take the faith of their baptism seriously. In these dark days, let us stay close to Christ and His Gospel, also by being close to all who are struggling. In these times we need Catholics who, despite everything, live their faith joyfully. Thank you to all the faithful, priests, deacons, pastoral workers and all other baptised who form their faith in loyal perseverance. Let us, inspired by the Holy Spirit, make our friendship with Christ visible in today’s world. Almost one year ago, an ecumenical prayer service in a Catholic cathedral to open a gay pride festival, and including a blessing by the bishop, was a bridge too far. This year, more exactly last night, the Diocese of ‘s-Hertogenbosch co-hosted the first of three dialogue meetings about faith and sexual diversity. Participating in the private meeting, characterised by an atmosphere of “security, openness and honesty”, were Bishop Gerard de Korte, cathedral administrator Fr. Geertjan van Rossem as well as representatives from the churches in the city of ‘s-Hertogenbosch and from the political world. The meeting was promised by the bishop as he announced last year’s plan to host the ecumenical prayer service on Pink Saturday at the cathedral of St. John. Those plans were later cancelled after significant protests, and the service was relocated to the Protestant Grote Kerk. Fr. Van Rossem did participate in it, but Bishop de Korte did not. Mr. Ivo van Harmelen, former Pink Saturday program manager and co-organiser of the dialogue meeting, said: “From the conversation the wish to remain in contact manifested itself especially. First show love, begin a dialogue and try to find each other in that way.” As such, the meeting had no ideological character. It was intended to listen, to create some form of connection and understanding, which can be the basis for further developments. The interests of Christians and people who identify themselves in sexually different ways are often strained and usually diametrically opposed. The contacts between, if any, are often hostile and judgmental. But both also want to convince the other of their beliefs. Fighting and condemnation will not do that. If there is any hope of dialogue and understanding, there must be a foundation first. These meetings are an attempt to achieve that. Two more meetings are planned for tonight and tomorrow evening, between faithful, pastors and representatives of various sexual diversity communities. Easter is the time for Baptism, and every year, the Church rejoices in welcoming new faithful to her flock. Catholic weekly Katholiek Nieuwsblad asked the seven Dutch dioceses how many Baptisms they added to the books at Easter this year. The number: at least 147. The standout diocese is Rotterdam, with 80 new Catholics. They are followed by Haarlem-Amsterdam with 48, Groningen-Leeuwarden with 13 and Breda with 6. The Archdiocese of Utrecht and the Dioceses of ‘s-Hertogenbosch and Roermond provided no exact numbers. Like myself 11 years ago, the majority of new Catholics also received the sacraments of Confirmation and first Holy Communion. The number mentioned above does not, however, consist solely of newly baptised. Some people had aready been baptised in other church communities and now entered the Catholic Church. For Belgium the number stands at 239, Kerknet reports. The numbers only refer to (young) adults becoming Catholic. Recently trickling into international Catholic media was the planned ecumenical prayer service at ‘s-Hertogenbosch’s cathedral basilica of St. John the Evangelist, planned expressly to open the annual Pink Saturday gay pride event. There has been much concern and criticism that a catholic church, a cathedral even, is used in a manifestitation that revolves around something that is so at odds with the teachings of the Catholic Church. Some feared that the service could be construed as a form of support of the extravagant lifestyle so often associated with pride manifestations. Following the first meeting of his new presbyteral council, and upon that council’s request, Bishop Gerard de Korte has written the following letter to not only explain the reasoning behind holding the prayer service, but also to delve into the Catholic Church’s teachings surrounding homosexuality and the balance between doctrine and life. It is a careful letter, but one that should be admired for the bishop’s sensitive treatment of the issue, and attitude that is often lacking in debates about this issue. The bishop acknowledges his own duties as shepherd and has stressed that the prayer service can not contain anything that is contrary to Catholic doctrine. In the end, the cathedral administrator and the bishop have made one of two choices. They could have kept far away from any acknowledgement of the pride events taking place in their city, or they could have taken the bold step towards some form of dialogue. They have chosen the latter. A prayer service is in the first place about meeting God, the bishop argues, and not supporting or protesting anything. The location, St. John’s, is also striking since in 2010 it was the site of protests, supported by gay right activists and even some politicians, during Mass against the denial of Holy Communion to a practising homosexual. On Thursday 1 June the new presbyeral council met for the first time. Among other things, we discussed the ecumenical prayer service which will be held at the start of Pink Saturday (24 June) in the cathedral. Some priests were concerned; others were glad about the breathing room provided. The planned ecumenical prayer service not only triggered discussion among priests, but also among other faithful. Homosexuality remains a sensitive topic in our Church, leading to much emotion. The presbyteral council has asked me to clarify my own position in a letter. It will in the first place be about the prayer service in St. John’s, but also about the topic of Church and homosexuality in a broader sense. The ecumenical prayer service at the cathedral is the primary responsibility of the pastoral team, especially the cathedral administrator. I know that administrator Van Rossem carefully deliberated it. He obviously discussed the service with the church council, but also with me. The cathedral is, after all, the bishop’s church. I left the decision with the administrator, under the condition that nothing will be said during the prayer service that goes against Church teaching. The contents of the prayer service can not be allowed to hurt the religious feelings of our faithful. The cathedral administrator ultimately made a positive decision. It is very important that the service is prepared by the administrator and three preachers from ‘s-Hertogenbosch. They trust each other and are aware of the concerns of a part of the faithful. I have full confidence that the service will be serene. Every worship service revolves around the worship of and encounter with God. Liturgy requires stillness and can never be used for protests or demonstrations. Those present at the prayer service will hopefully be encouraged and strengthened in their faith that God loves us unconditionally in Christ. The cathedral administrator and the preachers have asked me, as bishop, to conclude the service with a brief word and a blessing. During Pink Saturday there will probably be things taking place in the city which are strongly disapproved of by Catholics and other Christians, including homosexual Christians. In that regard I recall the remark of one of our priests during the presbyteral council meeting on 1 June. During the days of carnival there are also things taking place which are hard to reconcile with Catholic ethics. That is, however, no reason to abandon carnival services. I have the need to not only discuss the planned ecumenical prayer service in this letter, but also the topic of Church and homosexuality. In the Roman Catholic view marriage, the life bond between man and woman, is the framework of an ordered experience of sexuality. The unconditional love and faithfulness of God as thus reflected in marriage. Other forms of sexuality are considered disordered. As a Roman Catholic bishop I am called to uphold this teaching. This vision is, however, at odds with the dominant ideas about relationships and sexuality in modern Netherlands. A great part of our own Church people is influenced by modern secular culture. The result is a deep chasm between the word of the Church and the experience of many outside, but also inside our Church. One thing and another often leads to misunderstanding, anger and regret. As a bishop, however, I feel called to continue seeking out dialogue, no matter how difficult it often is. Every bishop, but also every priest, is not only a teacher, but also a shepherd. He is aware of the tensions between teachings and life, also and especially in the area of sexuality. The Church’s ideal and stubborn reality regularly clash. It is pastoral wisdom to not use the teachings of the Church as a stick to strike with, but as a staff to lean on. Traditionally the Church has known the saying: a lion in the pulpit, a lamb in the confessional. This implies that a wise shepherd tries to find an accessible way with every faithful. The Church’s norms are rarely achieved in concrete existence. In those cases we are not called to throw stones. When God starts counting sins, no one remains standing. But God is forgiveness and that nourishes us. We can and must appear before the face of the Lord with all the rough edges of a life lived. Faithful homosexuals, but also their parents and other family, often struggle with many questions. Which way to go? Is it possible to find a relationship of love and trust within the limits of Catholic morality? The Church asks homosexual people to live in abstinence. Such a life can only be lived healthily and happily when one experiences true friendship with other people and with God. This is also a duty for our parishes. Within the Catholic community, homosexuals should find kindness and friendship. Christians are called to honest charity. It is about the acceptance of every person as God’s creature. The Church’s norms about experiencing sexuality are clear and the bar is set high, certainly according to dominant Dutch culture. Faithful are called to relate to the norms of the Church and form their conscience. Every faithful goes his or her way with God and conscience is the final and ultimate authority. A tension may possibly continue to exist between the truth of the Church and the conscience of every individual faithful. When parents find that one of their children is homosexual, they are called to surround that child with all care and love. The same is, I am convinced, true for the Church as mother. This week, the Diocese of Münster saw the its full roster of auxiliary bishops, no less than five of them, completed again. And like the last time, it is the rector of the Marian Shrine of Kevelaer who gets to wear the mitre. ^Rolf Lohmann, the newest auxiliary bishop of Münster, before the chapel in Kevelaer holding the image of Our Lady, which launched alomst four centuries of pilgrimages. Msgr. 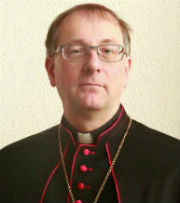 Rolf Lohmann was appointed on Tuesday following the transfer, in April of last year, of Bishop Heinrich Timmerevers to Dresden-Meißen. As mentioned before, there is a strong tradition in German dioceses for the vicars of the various pastoral areas to be made auxiliary bishops. Münster has five of these pastoral areas, and thus also five auxiliary bishops. Bishop-elect Lohmann will be assigned to the pastoral area of Niederrhein, the southwestern-most part of the diocese, adjacent to the Dutch diocese of Roermond and ‘s-Hertogenbosch (and a small part of the Archdiocese of Utrecht). This includes the old cities of Kleve, Wesel and Xanten, as well as Kevelaer, the major pilgrimage site dedicated to the Blessed Virgin in northwestern Germany, which continues to draw large numbers of pilgrims. The new auxiliary bishop was ordained in 1989 and served in various parishes until 1997, when he was appointed as rector of the shrine of St. Ida in Lippetal-Herzfeld. In 2007 he became a member of the cathedral chapter and in 2011 he succeeded the then newly-appointed auxiliary Bishop Stefan Zekorn as rector of Kevelaer. Bishop-elect Lohmann enjoys a close friendship with another auxiliary bishop of Münster, Wilfried Thiesing, who he succeeds in Niederrhein. Bishop Thiesing now resides in Vechta as episcopal vicar for the northern Oldenburg area, but comes from Niederrhein. The friendship between Thiesing in the north and Lohmann in the south should serve to bring the diocese closer together, Bishop Thiesing joked. The appointment comes at a special time for Msgr. 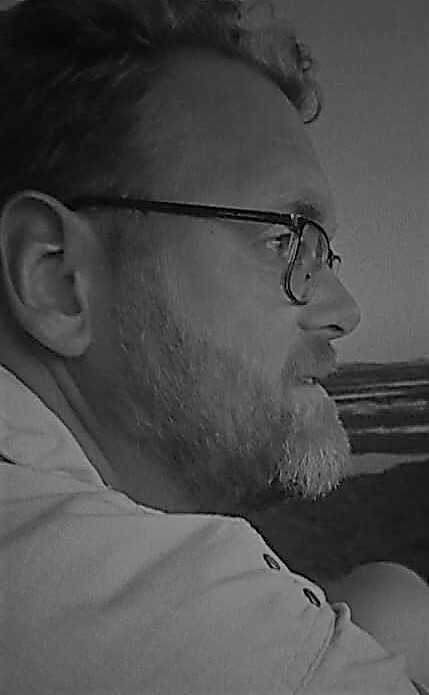 Lohmann. As rector of Kevelaer he has been preparing and looking forward to the 375th anniversary of the Kevelaer pilgrimage, to be celebrated at the end of May and beginning of June. With his new assignment, his role in that celebration will be different than he expected. Bishop-elect Lohmann considers the pilgrimage to be the future of the Church. As bishop, he wishes to continue contributing to a renaissance of pilgrims. 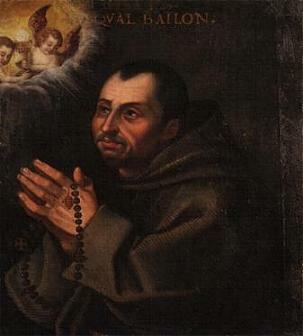 As bishop, Msgr. Lohmann will hold the titular see of Gor, in modern Tunisia. A date for his consecration is yet to be announced, but it will robably be before the summer holidays. Canon law dictates that a bishop must be consecrated within three months after the announcement of his appointment.